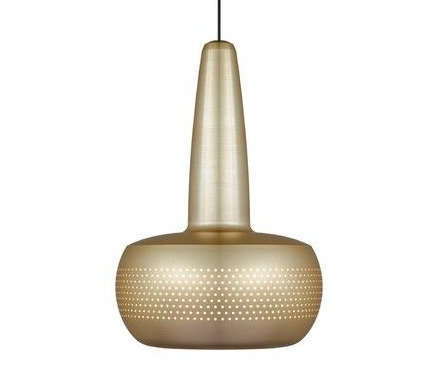 The VITA Clava is a small and stylish lampshade with retro hints. A series of small symmetric holes supplies a stunning look to the surroundings. The VITA Clava comes in matte white, brushed brass, brushed copper and polished steel, all colours making it perfect for beautiful clusters. This listing is for the Clava shade only. VITA canopy must be purchased separately. Hardwire only.